This is a typical breakfast or “takeaway” café. They got a few seats inside and some outside. What´s on the menu? 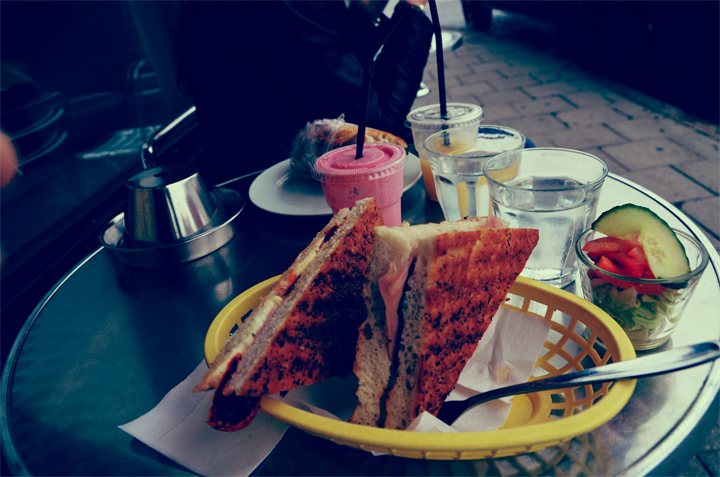 Well, the usual stuff; coffee, tea, juice, smoothie and sandwiches. 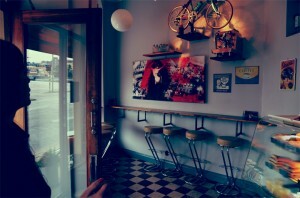 An ordinary, small cafe. Price: Standard. You can buy coffee starts for 25 SEK and smoothie or juice, also for 25 SEK. The juice that I bought was pretty sweet, almost to sweet. Bike on the wall… they also got a pretty cool painting here, made by an artist who happend to have a studio here in The Old Town, which is worth seeing!